It’s FRIDAY!!!!! YAY!! This week has felt like such a long and slow week..and Monday was a holiday..weird. Onto the word. VISIT. I am finding this month that every topic and every link-up is related. Last week in NAS we blogged about goals and words for 2014. A few weeks ago in Five Minute Friday the word was GO! It seems like everything is bringing me to the one thing I can’t wait for this year…and that is my trip to Europe. 10 years and counting I’ve been waiting to VISIT all the places I’ve learned about in school and seen in movies. Just yesterday I had a social with the people I will be traveling to Greece with and one of the older students traveling with us said she loves to travel because it makes the history books come alive…and that is what I am looking forward to the most. Visiting all the things I’ve read about and learned about that seemed so abstract and unreal and let’s face it BORING when I was learning about it growing up…that there was noway that they could really exist…but wait they do exist in a place that I’ll be visiting. It almost seems surreal. To visit the POPE and where many Popes before Francis lived and preached the gospel to millions of people that pass through the vatican…to learn more about the church that I love in person. To stand and visit the place that not even a month before I arrive where the only Pope, John Paul II, I ever knew until I was 19 years old be made a Saint…it’s so surreal….it’s the only word I can think of right now. Wow! Have fun on your trip! What an amazing experience! Oooh, Europe! I’ve never been to Italy (hope to someday! ), but I did a whirlwind trip of Europe in 2002. You know the time “It’s Thursday so we must be in Denmark”. I saw highlights of five countries, but didn’t get to really soak them in! Enjoy your trip! 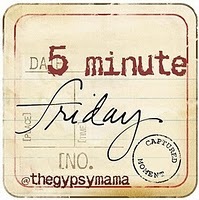 Jennifer Short recently posted…Five Minute Friday: Visit. How exciting, Beth Anne! I would love to visit Greece and Italy! That is definitely my dream vacation! Praying for you to have the best time!!! It will be so awesome to visit all those places, Beth Anne. I’ll look forward to reading all about it and seeing lots of pictures! Prayers for safety, learning, and memories to last a lifetime! How exciting to be visiting beautiful places. I can’t wait to have you share your adventures with us. This trip is a dream of mine too … among many dreams of traveling. What a blessing! I love that you get to share it with others too.